If you have a dog, you’ll want it to have a comfortable and long-lasting place to call home. 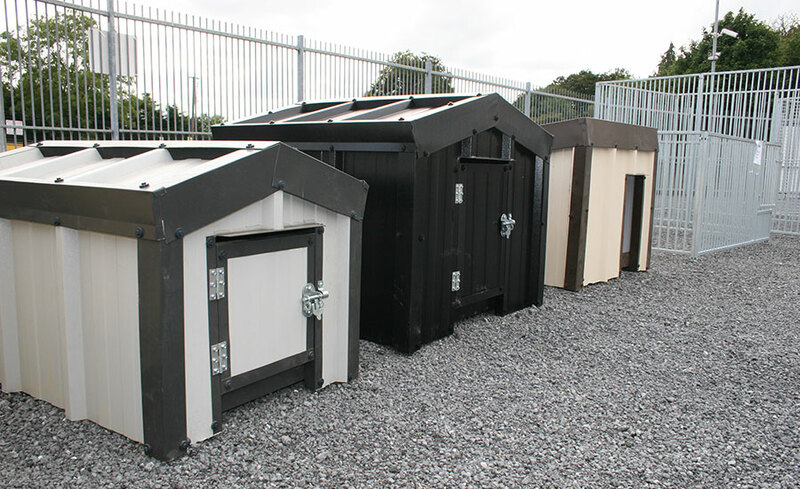 Kennels come in all shapes, sizes, and build quality, and there are many places offering dog kennels Carlow, but here at Outside at Fine Framers we have some of the best. When you choose a dog kennel, you want to know that your four-legged friend will be safe and secure. 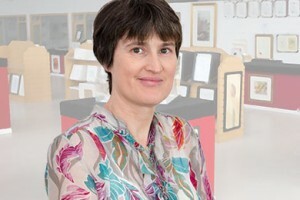 In addition, you want to know that in winter, he or she will be warm and dry, and that in summer, protected from the sun (and in Ireland, often still the rain as well!). 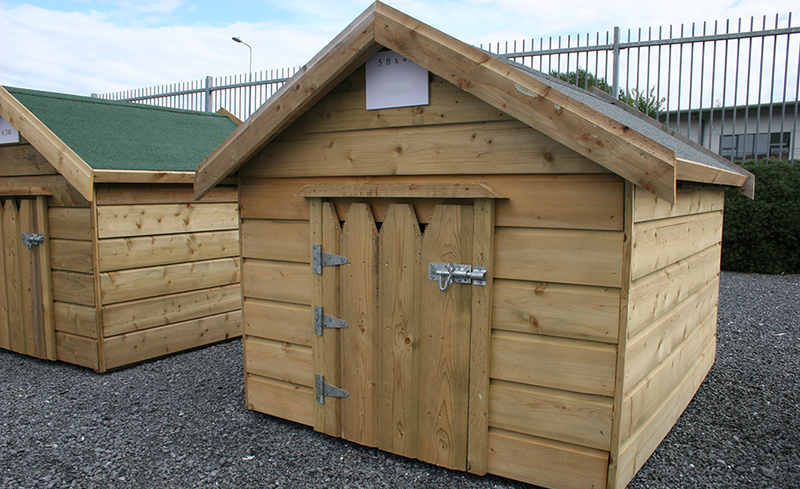 We supply both wooden dog kennels and insulated steel dog kennels, suitable for all dogs from family pets up to greyhounds, hunting dogs, and more. No matter what type of kennel you are looking for in Carlow, and no matter what type of dog, we can recommend something to suit. 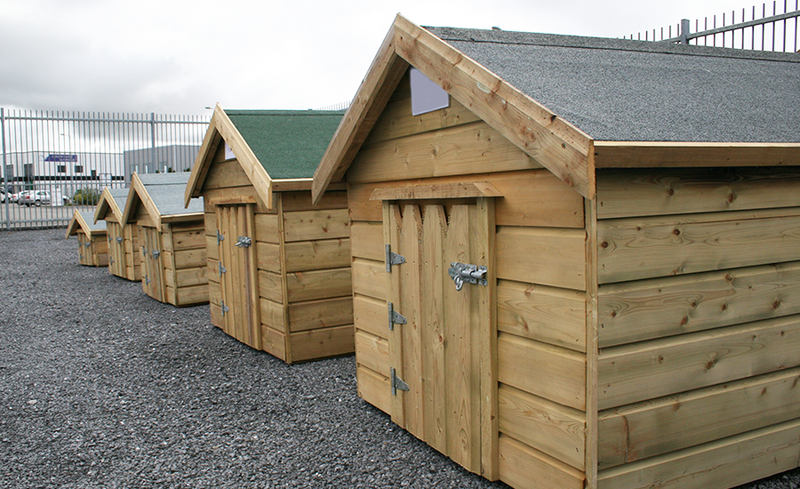 Our wooden dog kennels are made with pressure treated timber, and also feature the same high standard of felt roofing as our wooden garden sheds. They come in a range of sizes, with all featuring a solid timber floor, and ventilation holes to allow your dog to breathe easily when inside. Our kennels are built to last and will serve you better in the long run than cheaper alternatives that may be available in other places. For the ultimate long-lasting and maintenance-free home for your dog, consider an insulated steel dog kennel. Ours use Kingspan sheeting and are particularly suitable for greyhounds and other sporting dogs because of how they control the environment inside. 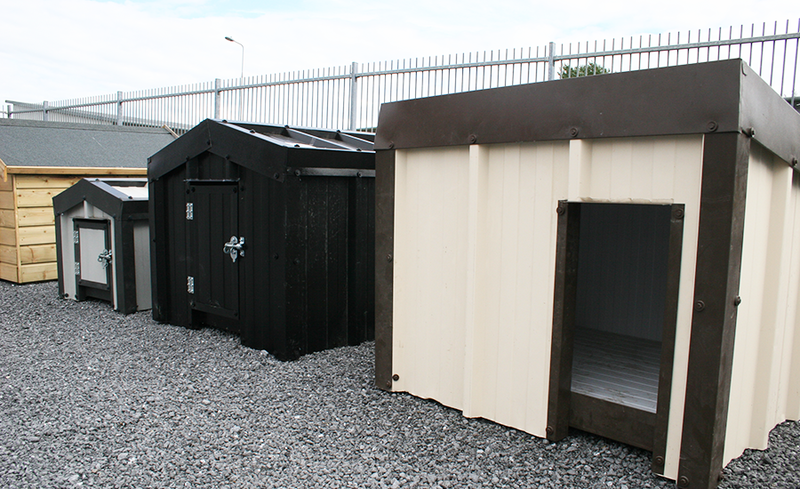 Another advantage of our insulated steel dog kennels is that they are completely chew-proof! They are made of double steel sheets, with insulation in between, so there is nothing for even the most determined dog to chew. This is unlike wooden dog kennels, where dogs can gnaw through some of the timber over time. 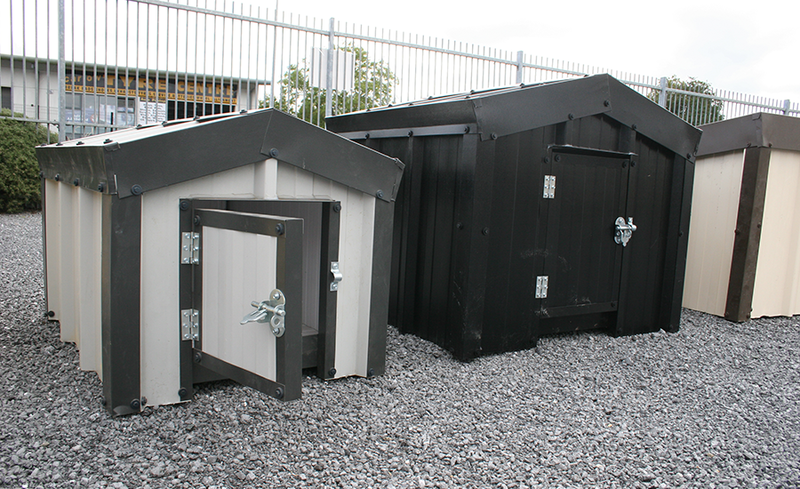 Our steel dog kennels are available in a choice of colours, can be supplied with a flat or sloped roof, and can be built into the dog runs that we also supply. 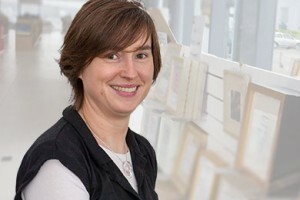 Remember – if you’re looking for dog kennels Carlow, then Outside at Fine Framers is your best bet. 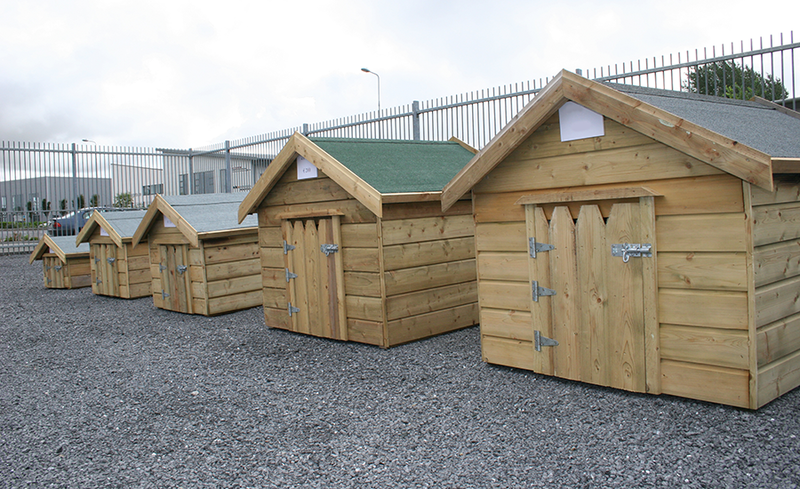 We have a number of kennels on display at our premises in the Wexford Road Business Park, and we can also advise on all other options available. 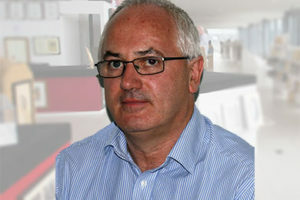 Just call in to see us anytime during opening hours, or call us at (059) 9164564.